Duette Honeycomb Blinds in 25 mm pleats include insulation as part the design. The honeycomb blind traps air increasing energy saving properties. 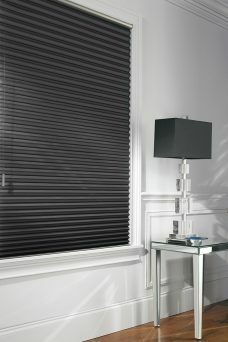 Duette Blinds as a matter of fact, include honeycomb or cellular blinds. For the most part, the collection includes a variety of fabric properties. To that end, certain Duette blinds include fire resistant fabrics. On the other hand, several are blackout blinds and full tone fabrics. For example Elan Duette blinds include translucent properties. This ensures privacy, with the result that light pass through. Duette Blackout Blinds – A combination of fabric plus an aluminium layer running inside the fabric. 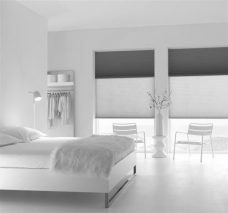 Full Tone Duette Blinds – Allows light pass through the fabric meanwhile permitting privacy. At the same time the blind is the same colour on both sides. Duo Tone Duette Blinds -Two fabrics joined together. Basically, one side is white and an additional colour is room facing. Unquestionably, blinds safety is paramount. For this reason, either SmartCord or LiteRise operations is available. 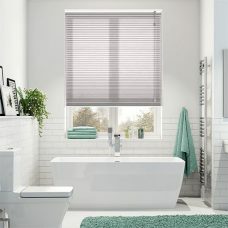 We are sure that you will be able to find a Duette Blind fabric to suit your décor from our range and offer all these blinds online. NB To ensure that the fabric will suit your needs, please order a sample as the way devices or monitors display our blinds can vary and the blinds are given to illustrate how they may look.